This week my daughter has faced an enormous amount of pressure. She received her high school application results to find out that the school she wanted to attend, unfortunately, denied her. As one can imagine, you are instantly overwhelmed by the gambit of emotions. Disappointment, devastation, sadness, loss of self-esteem, they all attack immediately, which can be hard for anyone, especially a 13 year old young lady. She had her moment of doubt and despair, and shed her tears about this situation but then I saw it. She made that face, and with that it let me know that she was ready to go through this trial. There is this energy within my daughter that she can tap in to when she needs to or is ready to dig deep. That energy is accompanied by a certain facial expression. I wish I could explain it but even if I could, you would not be able to fully understand because this is something you acquire over a lifetime of being with someone. Even though she didn’t want to hear a lecture from me, it was the proper time to impress some of my young wisdom on her. I took this opportunity to explain to her the power of choice.She was responsible for choosing to undertake such a huge challenge and consequently accepting the after effects of that choice. In this moment when her self-confidence was probably at it’s lowest point, I could not stress to her how proud of her I am. Most people on this planet will not take any risk or risky choices during their entire life. Here is my 13 year old daughter who made a choice of her own will, even in the face of doubt and lack of support from her parents, she said “I AM DOING THIS WITH OR WITHOUT Y’ALL”. This is that attitude that no parent should suppress within their child. The pressure she has been under and is still under, would break some adults that I know. As I continued to speak to her, I let her know that this is the pressure that will shape and mold her into the diamond that she will become one day. This is one of the times in her life where it will be uncomfortable. 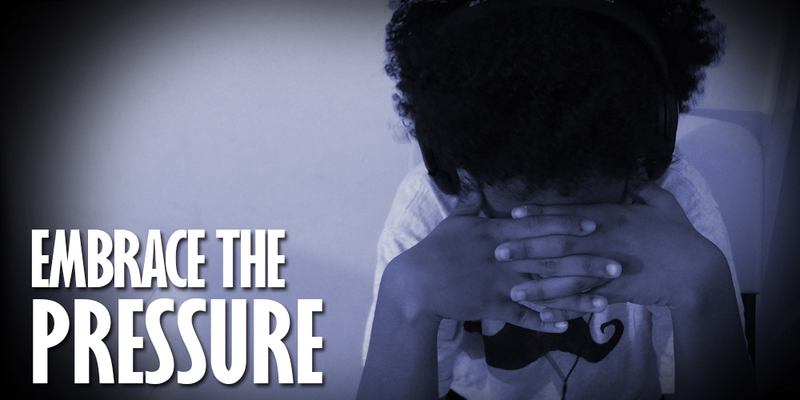 Embrace the pressure…the outcome is well worth it.